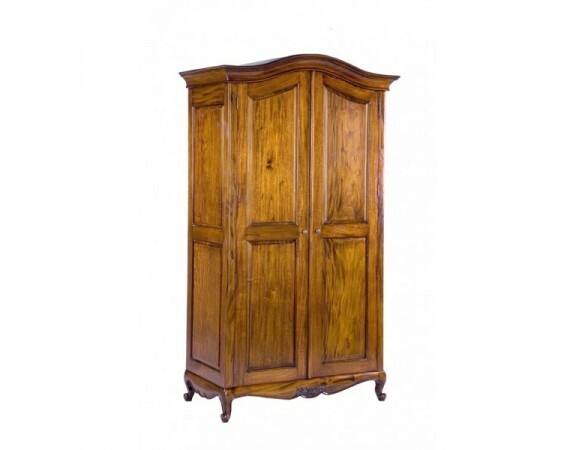 Finished in a mid-mahogany colour this armoire is a fabulous traditional design; featuring panelling to the front and sides, the piece is a perfect example of French style furniture. 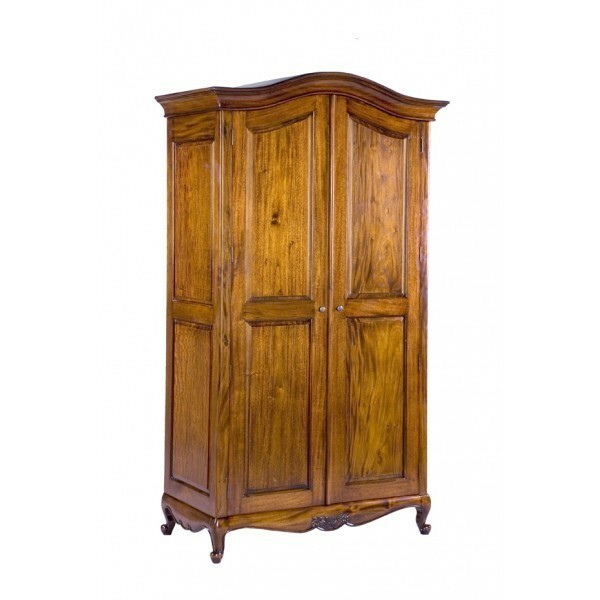 The wardrobe is impeccably constructed for sturdiness and features carved details to the bottom. Internally it has a full hanging rail with shelves. The wardrobe is designed with Knockdown construction. Note: This item may require assembly upon delivery at an additional charge, please enquire with our sales team. 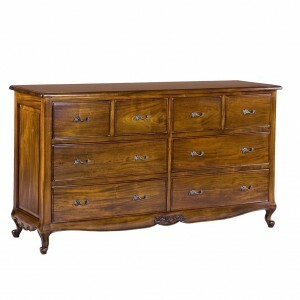 A traditional mid mahogany french style bedroom furniture range. 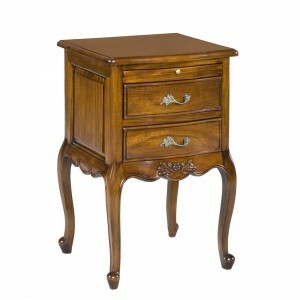 The range includes French beds, bedside tables, chests, dressing tables and French armoire's finished in mahogany to match.